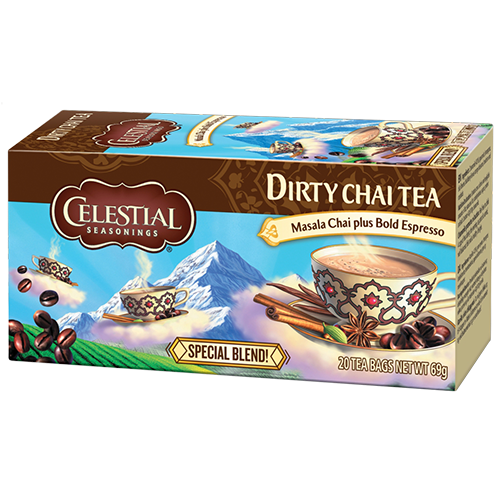 Celestial Tea Dirty Chai tea bags is a blend of an already lively Masala chai containing Assam tea and spices spiked with a refreshing real espresso. This gives a bold new variant of traditional chai. Celestial Tea Dirty Chai tea are inspired by traditional Masala chai which is consumed every day in India and Southeast Asia - but with a new twist!